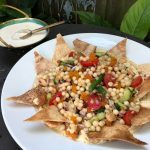 This cheerful, tasty salad is an adapation of one from Greg Malouf's magnificent Turkish cookbook, Turquoise. You can use 100g chopped semi-dried tomatoes instead of fresh tomatoes (or dry the halved tomatoes in a slow oven for a few hours). Place all the salad ingredients in a serving bowl and toss well together. Combine the dressing ingredients and serve in a bowl on the side. To serve (optional): smear hummus on the bottom of a platter. Place salad on top, drizzle with dressing. 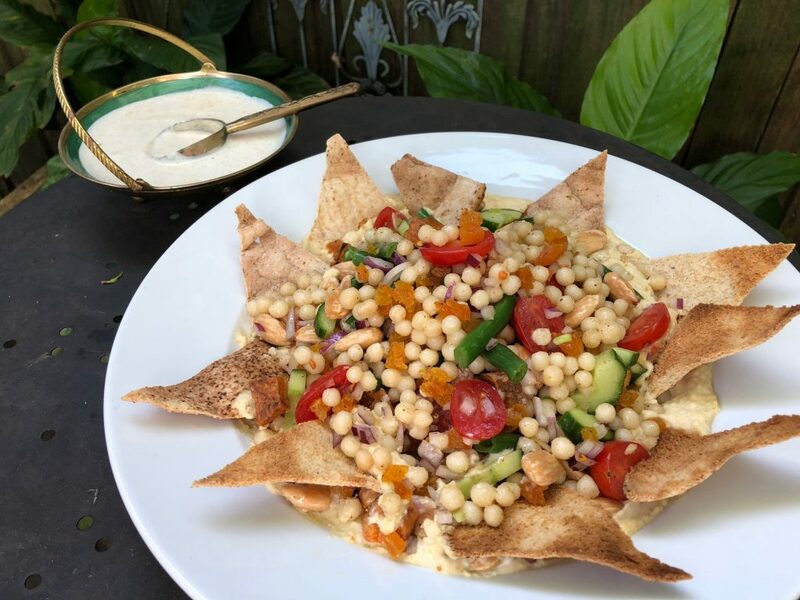 Serve pita crisps on the side.